Dr. Stencel is the William Herschel Womble professor of Astronomy and Director of DU Observatories - including DU's historic Chamberlin Observatory [1894, http://www.du.edu/~rstencel/Chamberlin ], Meyer-Womble Observatory, located at 14,148 ft elev on Mt.Evans, Colorado [1972/1996, http://www.du.edu/~rstencel/MtEvans ] and the newer Student Astronomy Lab commissioned on campus in 2004 and improved in 2012 [see homepage links]. & graduate astronomy/astrophysics classes [PHYS4251,4995,5995...]. Astronomy, Denver University Observatories & Prof. Stencel's Homepage: Astronomy, Telescopes, Observatories, the Universe! Hanging with my buddies Tycho Brahe and Johannes Kepler in Prague (2006 IAU). MOTIONS PASSED, 7/3/06 faculty meeting: 1. Faculty meetings shall occur on the third Wednesday of each month during the academic year, but this does not exclude options for meeting at other times. 2. Motions passed and agendae shall be recorded. Monthly Notices of the Royal Astronomical Society, Volume 476, Issue 4, p.5026-5031. 2015 Jan.1 Astrophysical Journal report - Pearson and Stencel - on using thermal constraints to model the disk system in epsilon Aurigae, and other double stars with disk(s). Accepted 2011 Sept for publication in the Astronomical Journal next spring. This paper was nearly 20 years in the making, including data acquired during the mid-1990s at the Wyoming IR telescope, plus newer data during the 2010 eclipse at the NASA IRTF, Spitzer Space Telescope and other sources. 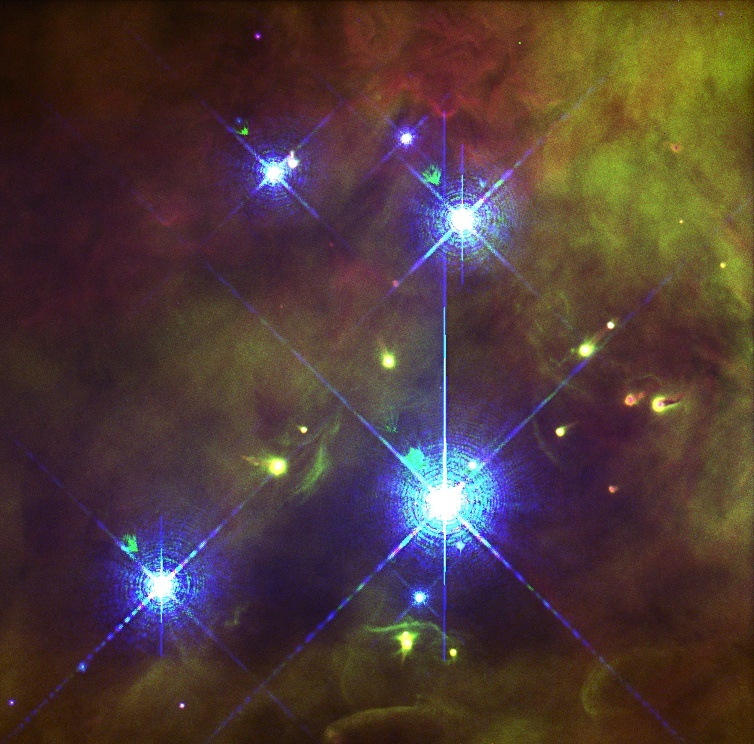 Structure in the disk of epsilon Aurigae, 2010. A book by Jeffrey L Hopkins and Robert E Stencel, anticipating the start of the 2009-2011 eclipse epoch. ISBN 978-0-615-24022-0. Draft version. Denver's Great Telescope, by C.Stencel & R.Stencel, 2006 is a richly-illustrated 100 page introduction to the telescope and history of the original DU observatory, 1894. Ordering info at the link provided. Conference proceedings 1985 held in Tucson, AZ - The 1982-1984 Eclipse of Epsilon Aurigae, edited by R.E.Stencel, NASA Conference Publication 2384, DC. IAU binary stars symposium report, 2006 Aug.
MWO images of Xena "the warrior planet"